Please do not sell the cupcakes. They are to be made for your enjoyment and given away as gifts to family or friends. Please ask me if you can use my photos or tutorial before you post them any where else online. 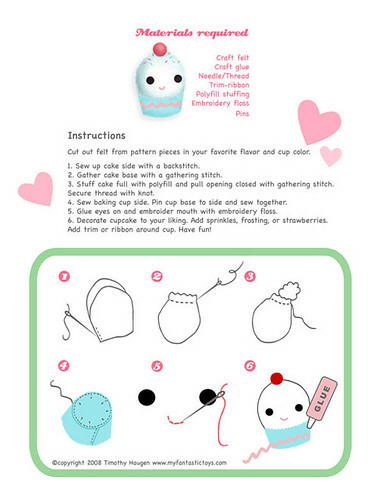 More free cute toy tutorials available at my blog.